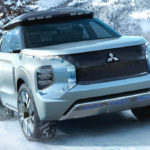 Named after the famous Swiss ski resort, Mitsubishi’s new-generation crossover hybrid SUV, the Engelberg Tourer, has received its global premiere at the Geneva International Motor Show. 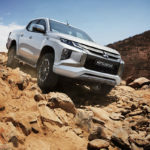 Mitsubishi Motors Corporation (MMC) has announced the world premiere of the new Mitsubishi L200 one-ton pickup truck in Bangkok, and is to start sales in Thailand on November 17. 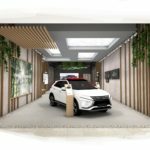 Mitsubishi Motors in the UK says it is continuing to embrace the evolution of consumer car buying habits and expand its retail operation’s routes-to-market with the imminent opening of its first shopping mall-based store. 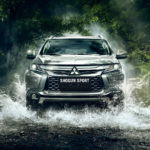 Located at intu Lakeside and due to open in June, the new store provides customers with an additional way in which to engage with the Mitsubishi brand and purchase a new vehicle. 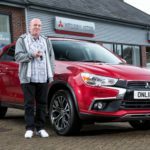 The development of the new store concept complements Mitsubishi Motors’ traditional dealer network and its Buy Online facility. 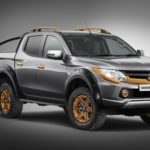 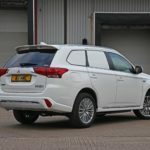 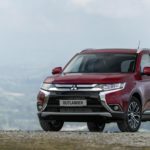 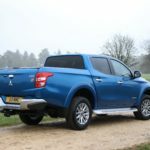 Mitsubishi Motors in the UK has unveiled the new Barbarian SVP II special edition of the Mitsubishi L200 – the second vehicle to be produced by its SVP (Special Vehicle Projects) division.